Hard-wired video connections in the OR may not be best for all applications. With FSN medical’s WIS1000 wireless transmitter and receiver system, video carts or stands can be completely mobile, allowing for flexible equipment layouts. The FSN WIS1000 helps eliminate the problem of numerous wires creating tripping hazards. Without the need to connect and disconnect wires from equipment, turn-around time in the OR is fast and efficient thanks to the FSN Medical WIS1000 Wireless Transmitter and Receiver. The WIS1000, a 60 GHz wireless HD transmitter/receiver, provides an easy and flexible solution to wireless communications. This system supports HD video, 1080p/60Hz, plus new 3D video formats generated by HDMI 1.4a. Both CEC and non-CEC enabled devices are compatible with our WIS1000 wireless system. 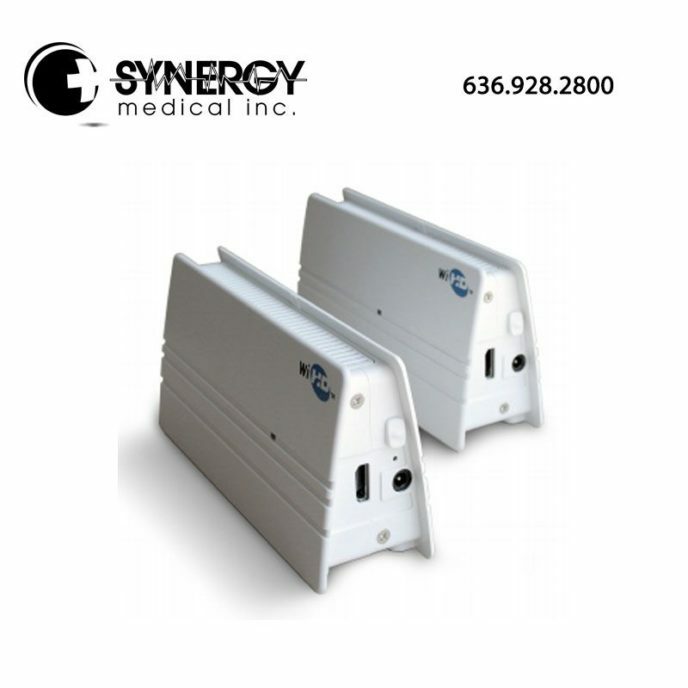 SYNERGY medical inc is an authorized value added reseller for NDS Surgical Imaging / NDSsi.